5 Stars for August! | Talk is cheap. Beauty reviews . Journalism&PR . Life . 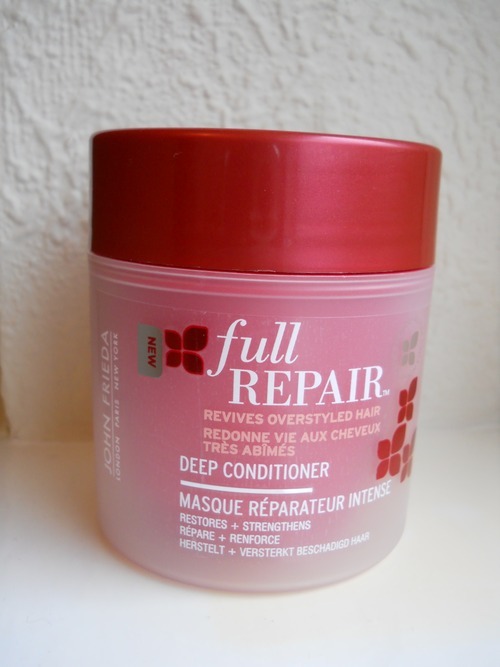 1 – John Frieda Full Repair deep conditioner. I’ve been a big fan of John Frieda products for a while now, but this one in my fave! It’s perfect for dry, fine hair as although it’s thick and creamy it’s not too heavy to weigh your hair down. 2 – Estée Lauder Soft Clean Moisture Rich cleanser (for dry skin). Not only do I have dry hair but my skin is too. I received this as a sample and after using it for only 3 days I’ve already fallen in love with it! It feels amazing when you first apply it to your face and although it doesn’t hydrate my skin as much as I’d like, it still gave my bare skin a gorgeous healthy glow. 3 – Osmo Berber Oil. This hair ‘treatment’ with Argan oil is one of the best I’ve ever used. Again, this was another free sample which I’ve now gone on to purchase. It’s basically a light oil which nourishes dry/damaged hair – smoothing down fly-aways and giving it a silky shine. It can be applied to damp hair before a blow dry or on dry hair. I also use it religiously on my hair extensions – it’s great for stopping them knotting-up. 4 – L’oreal Paris False Lash Telescopic mascara. I actually tried this after a friend recommended it. I think it’s one of the best mascaras available at the minute, I’d say it’s on par with more expensive brands such as YvesSaintLaurent Shocking Volume mascara. I’ve used both and it’s hard to see a difference – except one’s much cheaper! False Lash Telescopic pretty much does what it says on the packaging. It makes eyelashes look longer and fuller, it also separates them to stop clumping. Benefit’s ‘They’re Real!’ mascara comes in a close second but again that’s quite expensive. 5 – Nicole ‘Rainbow in the S-Kylie’ nail glitter. You NEED this! Enough said. It’s difficult to find a really good multi-coloured nail glitter which comes with different sized glitter. When you do find one it can be quite expensive! This stuff is about £10-15 depending on where you buy it – yes, it’s still kinda pricey but compared to others it’s not that bad. Definitely recommend that you try it as a top coat over a white/black nail polish.